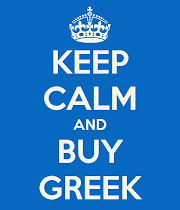 🇬🇷 💙 🇬🇷 #BuyGREEK Giveaway! follow us on Instagram or Twitter and you're in to win! 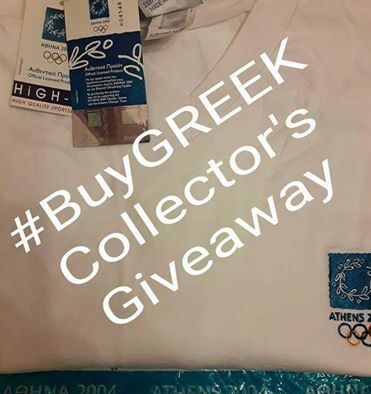 Almost 13 years have gone by since the Olympic Games came home to Greece and we've decided that we are going to give away one of the items in our personal collection! Will you be the lucky person who is going to win this authentic Athens2004 collector's t-shirt? 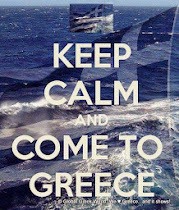 A MadeinGreece memory from Athens' Unforgettable, Dream Games! Tag a friend you think would like this prize in the comments. 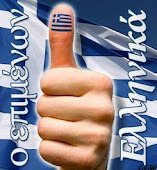 Καντε like & follow στο Facebook, Twitter ή Instagram ! Ενας τυχερός θα κερδίσει αυτο το καταπληκτικό αυθεντικό συλλεκτικό πλέον μπλουζακι από τους ονειρεμένους Ολυμπιακούς Αγώνες της Αθήνας2004. Κάντε ταγκ καποιο φίλο που θα του άρεσε αυτό το δώρο στα comments.